British Major Pitcarne took six companies of an advance team to scout out Lexington, Massachusetts, early morning, April 19, 1775. Behind him marched nearly 6,000 troops with orders arriving from London to capture any New England leaders of the so-called rebellion. The militia began assembling about two in the morning, but only after much debate and discussion as to a proper response in Buckman’s tavern, just across the green, right where the main road from Boston split, one fork going on the north side of the green, the other—the road to Concord—on the south side. Directly across from Buckman’s tavern, right at the split in the road, stood the local Congregationalist meeting house. Captain Parker, a veteran of the French and Indian War, told the local militia to stand their ground on the Lexington village green. They wouldn’t attack, but they would stand at ready (not aiming) and in battle formation (three ranks deep). It was a show of respect—toward the British as well as toward themselves. This was, after all, their village; they were willing to defend it. The men of Lexington were not thinking the British would fight, it should be noted. The road formed a Y around the green, and the militia would have well been out of the reach of the British, should the British soldiers merely continue to march toward Concord and western Massachusetts. 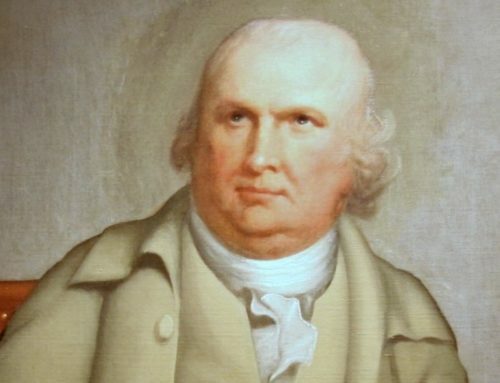 Indeed, the Lexington militia stood as far from where they predicted the British troops would march as possible. In their decision to stand at ready, not aiming or preparing for battle, the Massachusetts men demonstrated their very English qualities. After all, from pre-Christian Anglo-Saxon times through the present, villages often assembled in a show of arms to protect their rights from the higher political authorities. This was not seen as rebellion or secession, but merely as a part of the Anglo-Saxon rights of localities in the long history of the English constitutional order. Real men stood. Indeed, in the West as a whole, they had from Marathon to, though still in the future, to Waterloo. While the Americans did not consider themselves in rebellion—they were merely exercising their English rights as men—the British crown and parliament had already proclaimed New England in revolt. “The New England governments are in a state of rebellion, blows must decide whether they are to be subject to this country or independent,” George III said on November 18, 1774, to Lord North. In early February, 1775, Parliament confirmed this. 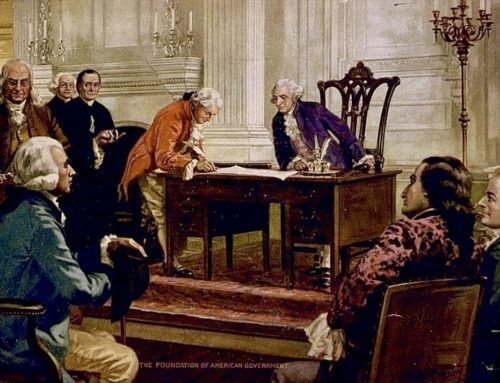 Each was wrong; the American colonies did not declare themselves independent until the spring of 1776, with the Continental Congress affirming this on July 2 and 4, 1776. Prior to the shots fired at Lexington, Americans still considered themselves traditional and patriotic Englishmen. It’s worth repeating—what the Lexington men did on the morning of April 19th, was what they believed Anglo-Saxon and western men had always done. If anything, the men of Lexington were more English than those living in England. As with many of his fellow Protestant ministers of the century, Rev. Clarke had become deeply fascinated with the ideas of Natural Law and Natural Rights in the 1750s and 1760s. Clarke had served as minister—the third in the village history—since the 1750s. Clearly, his people were listening to him when they assembled on the village green, April 19, 1775. The British troops, however, interpreted the act as one of unnecessary bravado. Crossing the green—and thus away from their intended goal of Concord, Major Pitcairne rather crudely told the militia to disperse. Outnumbering the Lexington militia, nearly ten to one, as noted above, the British easily won this skirmish. But, symbolically, they lost. For at the moment the first Lexingtonian died, the American Republic was born. A profound thank you to all of the men and women who have served the American cause of Natural Law, Natural Rights, and the dignity of the human person since April 19, 1775. Hear, hear! May we have the courage to rally on the barricades against those who embrace corrupt and foreign ideologies. Long live the American Republic.